TabeLog’s popular store with more than 3.5 stores, the second restaurant of Natural vegetable restaurant Komagari Narish opened. 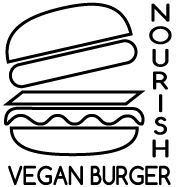 Narishu (http://nourish.co.jp/) who has been operating as a natural food restaurant for about 6 years opened a new burger specialty store “VEGAN BURGER NOURISH”. Creating “food”, “people” “space” that makes me feel free to feel like a family of my neighbor’s relatives feel free to relax from daily stress and work fatigue, and provides healing through all five senses. A sense of security that you can eat the dish of junk image called Burger as it is. A little extravagance of cafe time. Give yourself a day of relaxation and healing that makes me think as a reward, and aim for shops that will be returned to my original self. For a lady I opened a shop under the concept “The place where I return to myself” (a place where I return to myself). We offer such a place where women can relax. Regarding cooking, use natural natural cultivation (fertilizer / organic pesticide) vegetables and natural fermented seasoning abundantly, prepare vegan burger, craft beer and organic coffee. By making women healthier and more beautiful, we will make the surrounding men and their families happy, and by increasing the number of people who eat such ingredients and burger, we will also have a positive impact on the global environment as a result. As more foreigners come to 2020, we are getting more and more attention to the lifestyle of vegan (vegetarianism).